Friendly staff, clean hotel, comfy bed, breakfast included. Disappointed with the shower pressure, but perfect otherwise. Very nic decor and room set up as well as in the common areas. Great Customer Service and very clean room. Enjoyed my stay! It was the perfect stay. My room was facing the ocean. Love the oceanview from my balcony. The view from the room to the ocean was excellent. The pool area was moldy and the water temp was unhealthy warm. Other than tgat is was a great stay.!! A relaxing resort city bordering the Atlantic Coast and Chesapeake Bay, Virginia Beach boasts the longest public beach in the world. With gorgeous ocean vistas and plenty of activities and festivals to keep visitors busy throughout the year, the city has much to offer families, college students and couples. Whether you are looking for historical landmarks, sunny beaches or romantic coves, Virginia Beach is definitely the place to unwind from all the duties of life. Experience premier oceanfront hotels, picture-perfect vistas and fabulous Virginian weather. Mild weather marks most days of the year here. Virginia Beach features a humid, subtropical climate, making winters short and summers hot and humid. July and August have the most precipitation, typically in the form of wild but brief afternoon thunderstorms. Mid-summer temperatures are typically in the 80s, although the humidity makes it feel hotter. The best months to visit are May and September, when highs are in the 70s and lows are in the high 50s to low 60s. Because of its prime location on the Eastern Seaboard, Virginia Beach misses most of the major snowstorms of New England, as well as the hurricanes of the southeastern states. Virginia Beach celebrates Independence Day in style with live ocean-side performances by tribute bands and the Virginia Beach Symphony. Of course, it would not be complete without a colorful fireworks extravaganza over the Atlantic Ocean. The half-marathon draws contestants from around the country for a fun race that finishes on the iconic concrete boardwalk. Live music from over 20 bands provides encouragement for runners. Visitors love being in town for the Brewfest. They can sample rich German beers and savory foods, dance a polka, enter their dachshunds in a beauty pageant or participate in a talent show. Not everything happens during the summer here. Christmas celebrations are truly spectacular with an evening spent lighting up the town, greeting Santa, caroling and watching a laser light show. Those interested in colonial America will love Virginia Beach. First Landing Cross is part of the Cape Henry Memorial and marks the first spot where colonists landed in 1607 before heading on to Jamestown. The Old Cape Henry Lighthouse, built in 1792, is open to the public and can be reached through Fort Story. Visitors who make the trek will have beautiful views of the ocean and can also visit the newer lighthouse by the same name that was built in 1881. The Adam Thoroughgood House, one of the oldest surviving brick houses in the U.S., is another great option for visitors interested in early American architecture. Of course, no trip to Virginia Beach would be complete without many hours spent splashing and sunning on the beach. The attractive boardwalk provides three miles of easy walking while those who are up for sportier activities can try to conquer the Atlantic waves on a surfboard. Fishers will love the amazing array of saltwater and freshwater fish that they can find at the intersection of Chesapeake Bay and the Atlantic. Sailing, kayaking, jet skiing and a variety of other water sports are readily available. Visitors who prefer activities on dry land can check out the hiking trails at Back Bay National Wildlife Refuge. Large hotels and boutique guesthouses are dotted along the shore on Pacific Avenue and Atlantic Avenue. 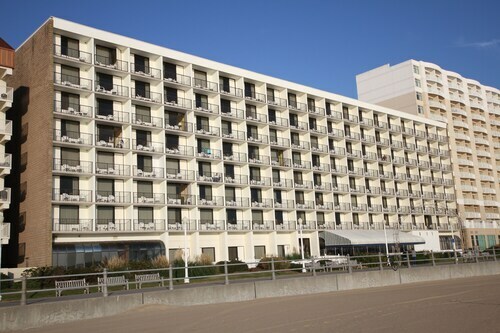 Beachfront accommodations like the Barclay Towers Resort Hotel are ideal for family vacations. Popular hotel chains like Wyndham, Comfort Inn and Best Western provide an excellent location and great value for money. Look out for hotels that offer sea views and easy access to local attractions. Virginia Beach is served by Norfolk International Airport (ORF), a 30-gate terminal offering flights through most major airlines. A 25-minute drive will bring visitors to Virginia Beach's city center. Amtrak does not run passenger trains directly to Virginia Beach, but it does provide access to nearby Norfolk. Shuttles provide an easy 25 minute journey direct to the beach. 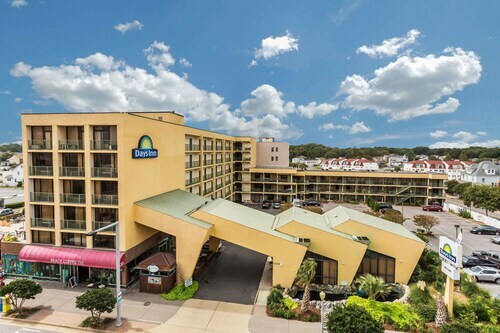 Those who prefer to bring their own vehicles arrive at Virginia Beach by way of Interstate 264, and have an easy drive through Richmond on Interstate 64. Whatever path you take into Virginia Beach, you can rest assured that you will fall in love with the history, the coastline and the people. Great location. Extra parking lot!!! Very nice breakfast hosts! Checkin staff and hospitality staff were very helpful! Will recommend and repeat stay for business and vacation.